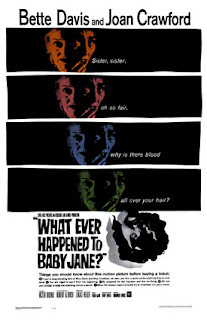 The Capitol Theatre (1390 W. 65th St., Cleveland) will host two screenings of the Oscar-winning classic WHAT EVER HAPPENED TO BABY JANE? as it commemorates the 40th Anniversary of Joan Crawford’s death on May 10, 1977. Recently back in the pop culture discourse thanks to the success of the acclaimed FX show “Feud” which featured Susan Sarandon as Bette Davis and Jessica Lange as Joan Crawford, WHAT EVER HAPPENED TO BABY JANE? remains one of the most unique offerings from the end of Hollywood’s Golden Age. In WHAT EVER HAPPENED TO BABY JANE? Crawford and Davis play once-famous sisters now living a reclusive life in their Hollywood home. Davis’ turn as the aged Baby Jane Hudson earned her an 11th Oscar nomination and revived her career. Crawford had the less showy role and found herself still struggling to regain her star status after the film’s release. It’s a true classic showing two of Hollywood’s greatest stars in their only screen appearance together. The film will screen at the Capitol Theatre on Wednesday, May 10th at 7:00 PM and Saturday, May 13th at 11:00 AM. Tickets are just $6 and can be purchased at the theatre box office or online at clevelandcinemas.com. In honor of Joan Crawford’s marriage to the past CEO of the Pepsi-Cola Company, Pepsi and Diet Pepsi drinks will be $1 off at the concession stand during the shows. Labels: Capitol Theatre, Cleveland OH, news, Whatever Happened to Baby Jane?